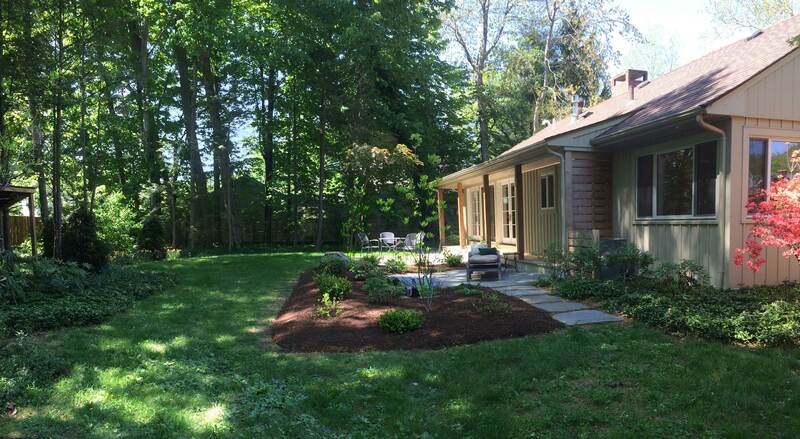 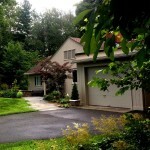 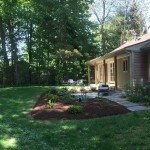 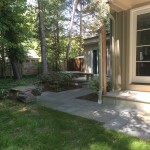 Portfolio Categories: Decks, Master Plans, Patios, Plantings, Stone Paths, and Water Features. 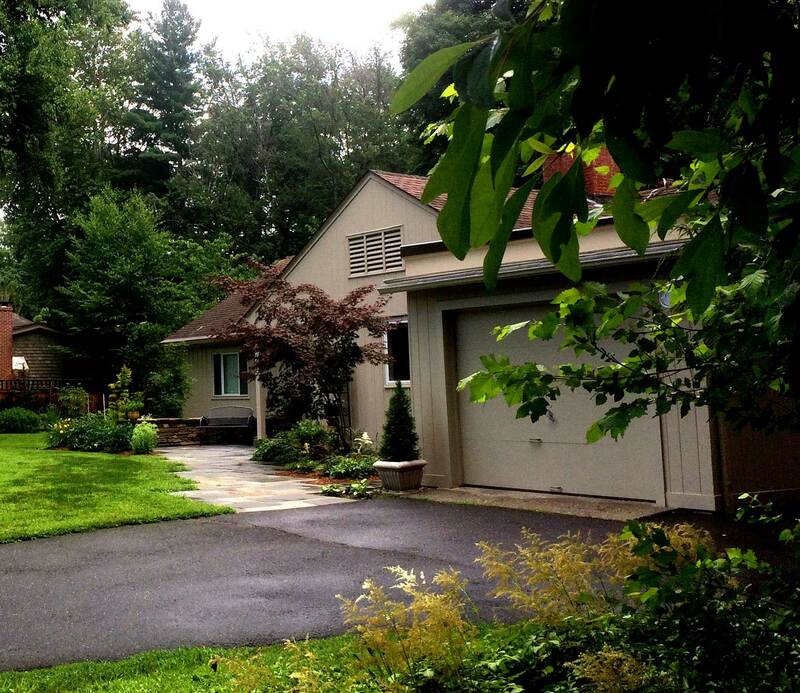 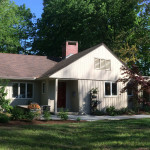 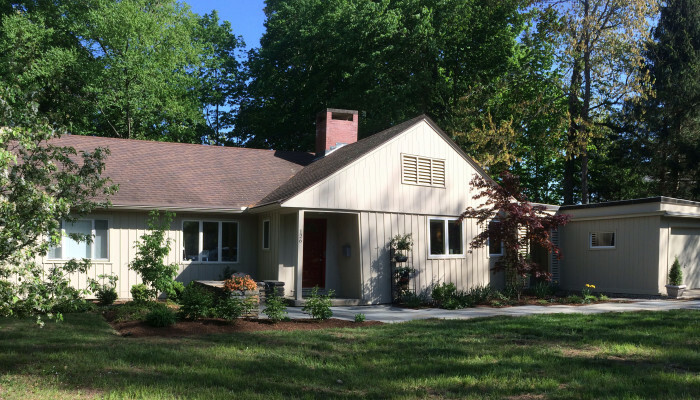 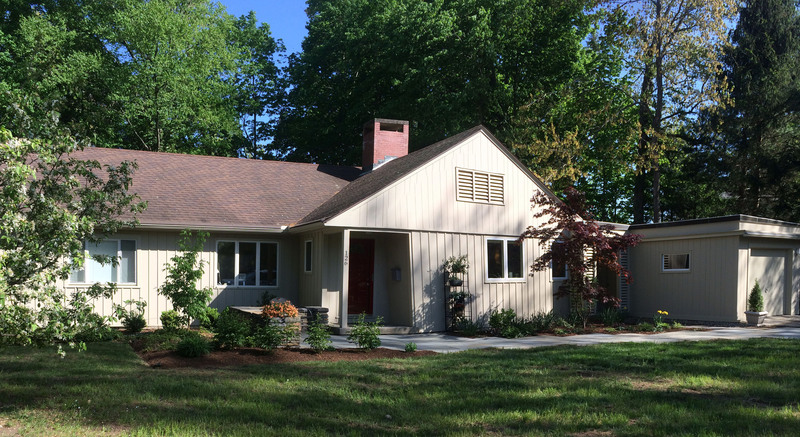 The owner of this Northampton home completed a major renovation to update the 40’s ranch style house into a contemporary residence. 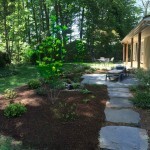 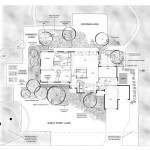 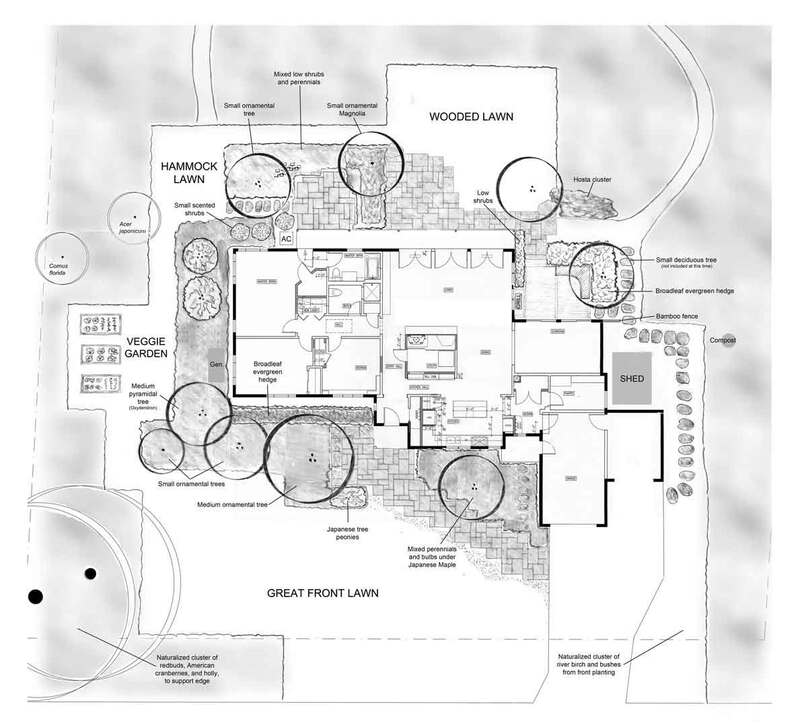 To complete the renovation, Paradise City Landscape Design proposed a serenity garden featuring a series of garden spaces and paths for walking, gathering, and contemplation. 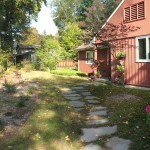 The haphazard front entrance and arrival was completely redesigned to include an elegant bluestone walkway and sitting area framed by a Goshen stone wall. 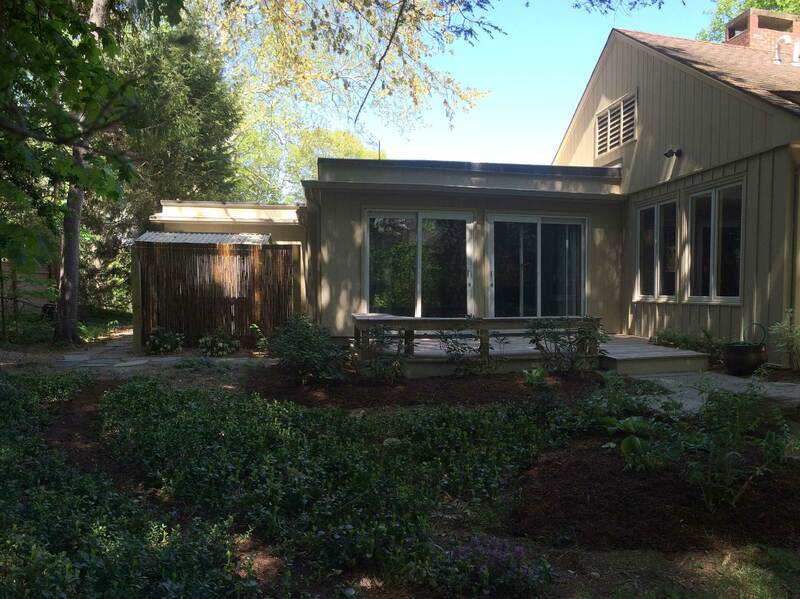 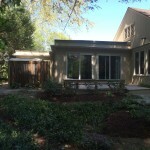 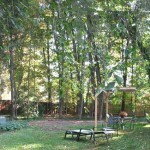 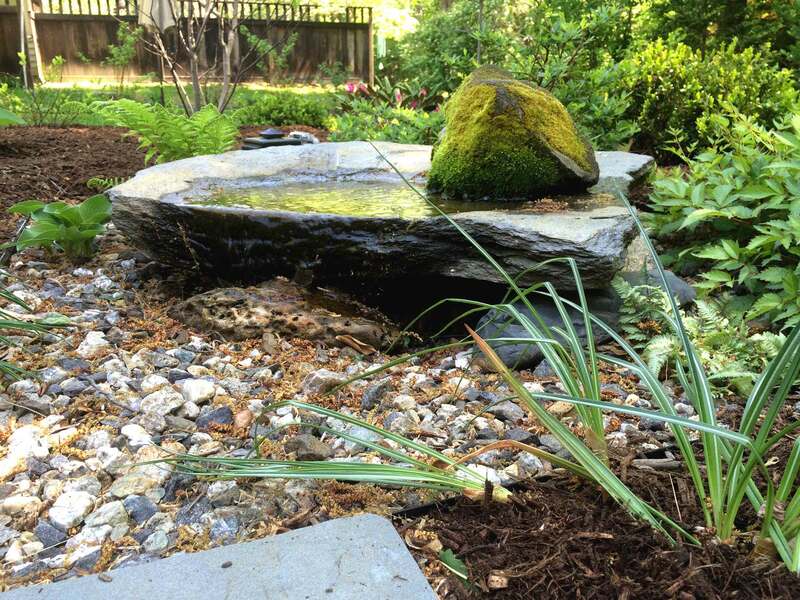 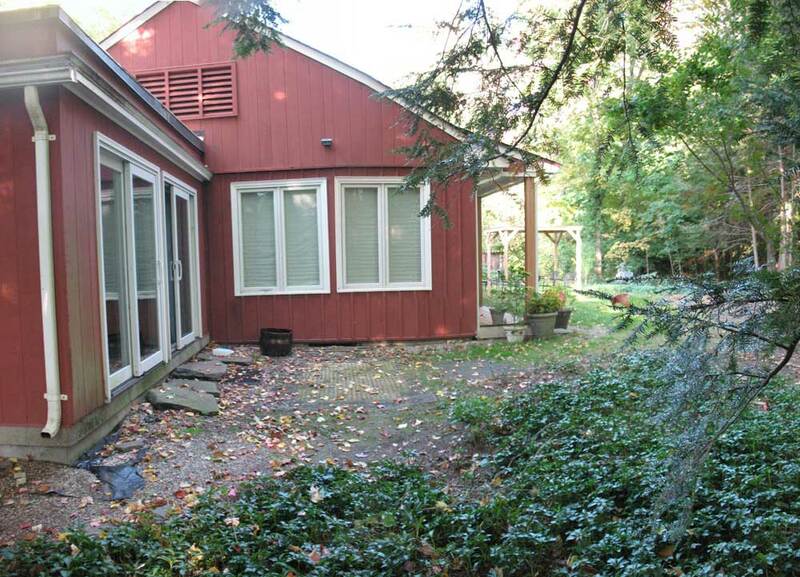 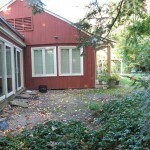 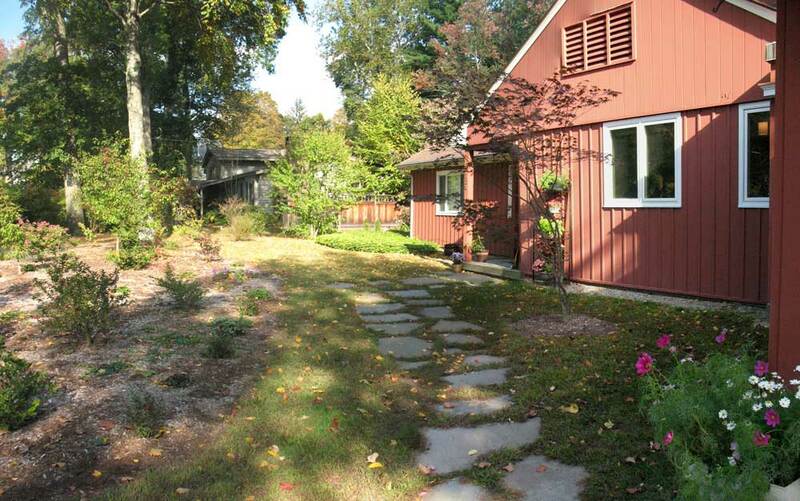 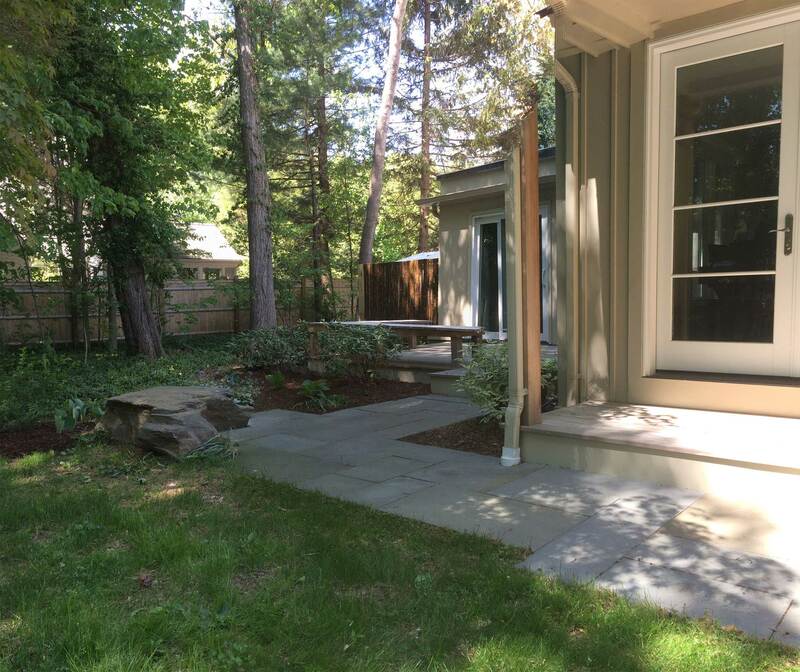 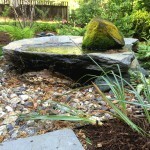 The backyard now features a series of sitting spaces, from the intimate meditation space with the Goshen stone water feature, a larger patio off the living room for larger groups, as well as a nestled deck off the sitting room. 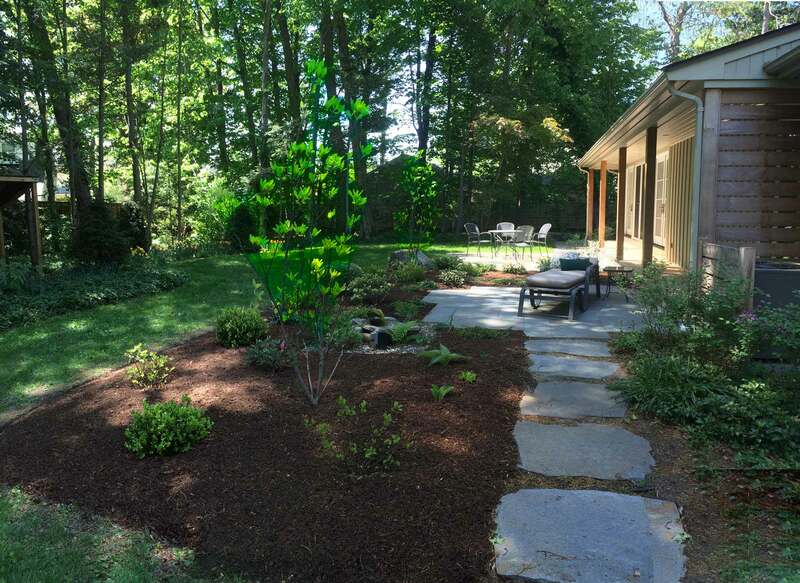 The owner now enjoys a beautiful walk around her property, with places for pausing and sitting as she enjoys her serenity garden.